Every day we work hard to develop our product so it brings customers the real value. We listen to our customers carefully, take notes, and build new features each quarter to help them do their job more effectively. Last quarter, we’ve been focused on data quality, providing insights, and a few more news for the Conversational AI platform. Check out the details below. Monitoring Google reviews is now available at SentiOne for all customers. 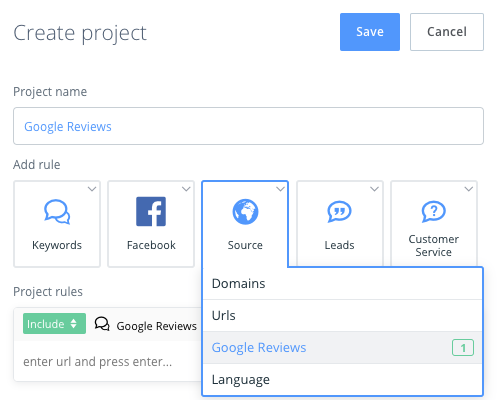 Simply put the proper URL in Project Creator so our system is informed what page should be tracked for you. If you have more than one location, simply put more URLs in the rule. You can have all data in one place, or reviews per location gathered as separate projects to compare them. Get insights from data… faster! We know how much data you have every day to review manually. We’ve done a few optimisations to make your work easier and get results faster. 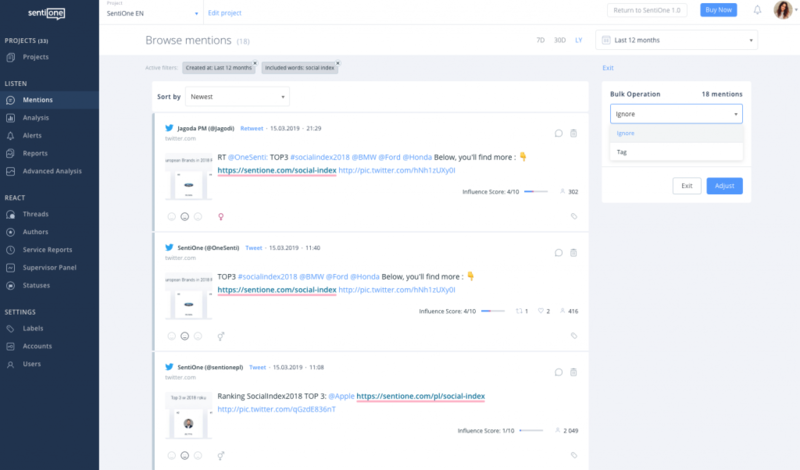 Bulk operation which allows tagging multiple mentions with applied filters at once. When the system informs you about the anomaly, you can click on it and get a simple summary of what happened. Every time you analyse data and want to get details, a preview will also support you and give you an overview of what happened. 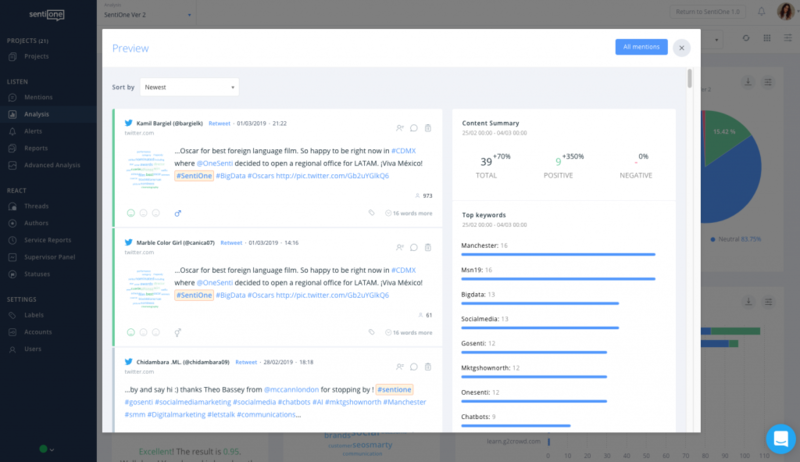 As more and more mentions come in every hour, we decided to let you know, which mentions you had already seen before, when you visit a particular project. Thanks to that, you won’t spend your valuable time to double-check what has been already reviewed. Automate Customer Service with AI! We are constantly developing our Conversational AI Platform – Customer Service Automation with Next-generation Chatbots and Voicebots. This past quarter, we’ve implemented 6 advanced bots in 3 different languages using our platform and technology. We are polishing our NLU engine and AI customer service automation platform hard these days. Fake modesty aside, we really believe we’re becoming chatbot masters and we have big plans for the future. Every big company is looking for an omnichannel customer service automation tool now. If you are as well – contact us! Olga Springer Head of Product at SentiOne. Future PhD, associated with software product management since the beginning of her professional career. She is focused on smart scaling companies and developing products that users love. At SentiOne, she executes product strategy and implements innovations into the world of social listening and communication tool.